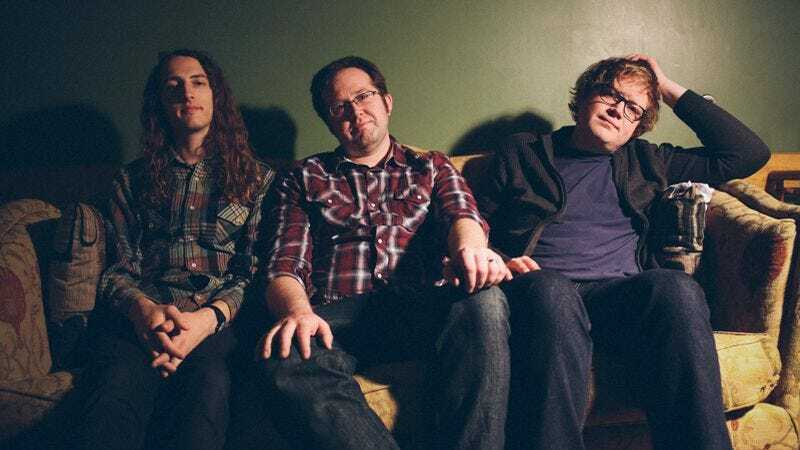 Lansing, Michigan trio Cheap Girls have always had a knack for using their defeats as a cause for celebration. This stems from the band’s ability to couple pitch perfect power-pop songs with Ian Graham’s lyrics, which always seem to be weighted down with despair. Take, for example, “Hey Hey, I’m Worn Out,” from the band’s sophomore album, My Roaring 20’s. The album opens with tales of desperation (“Sunnyside”) and unfulfilled dreams (“Ft. Lauderdale”), so by the time “Hey Hey, I’m Worn Out” kicks in, it’s hard not to commiserate with Graham. He’s chased the wrong loves, his aspirations have gone unrealized, and now he’s working behind a counter right next to his fancy, college-educated friends. It’s not that Graham’s bitter about any of this; he just seems delighted by the irony that his missteps landed him in the same spot as his friends who got their degrees. As the band pushes the song to its apex and Graham begins hollering the song’s title, it’s less a lament and more him reveling in his small victories. He may be worn out, but he’s not going to let that keep him down. Instead he’ll blow out a puff of smoke, let out a little laugh, then get right back to work.